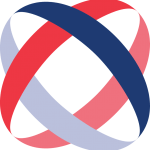 Ofcom has released its latest research, Adults’ Media Use and Attitudes 2016, and there are some interesting findings around device and platform use for – and the general popularity of – online banking. Here we present some of the key facts and stats, and comment on the increasing use of smartphones for carrying out banking tasks. 67% of internet users say they have banked or paid bills online. 40% say they bank and pay bills online at least once a week. The levels of people banking and paying bills online has been relatively steady over 2013 (67%), 2014 (68%) and 2015 (67%). 40% of those aged 16-24 will bank and pay bills online (29%), while 35-44s are even more likely to do so (50%). 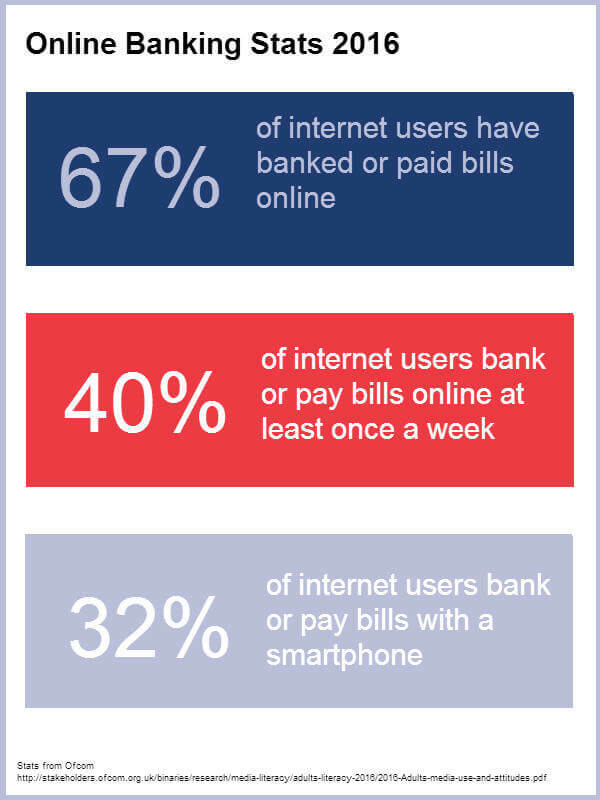 People aged 25-34 are more likely than all internet users to bank and pay bills online at least weekly (50% vs. 40%). Fifteen per cent say they mostly use a tablet. The trends, however, show that smartphones have increased in popularity for online banking (32% vs. 25% in 2014) while laptops have decreased in popularity (32% vs. 44%). People are using tablets for banking more than ever (up from 8% to 15%). 16-34 year olds are more likely to use a smartphone for online banking. Regarding banking and paying bills online, similar proportions of internet users prefer to use a browser (43%) compared to an app (41%). Compared to all adults, app preference is higher among 16-24s (54% vs. 41%), while over-55s are more likely than all to prefer to use a browser (63% vs. 43%). More women than men say they mostly use a smartphone (38% vs. 26%) or a tablet (19% vs. 12%) for online banking, while men are more likely to use a desktop computer (24% vs. 13%). Also, more men than women say they prefer to use a browser (48% vs. 38%) to an app. More than one in three mobile users (36%) say they have used their phone to bank online, with more than one in five doing so at least weekly (23%). According to the research, 15% of mobile users have used their phone to make a payment – and 7% do so weekly. With all this in mind, it’s little wonder that our clients in financial services are keen to see what banks across the world are doing to improve the online experience, across desktop, mobile and tablet.